SWEETEST GIFT IN THE WORLD … what a chocolate covered Porsche 911 Carrera S !! 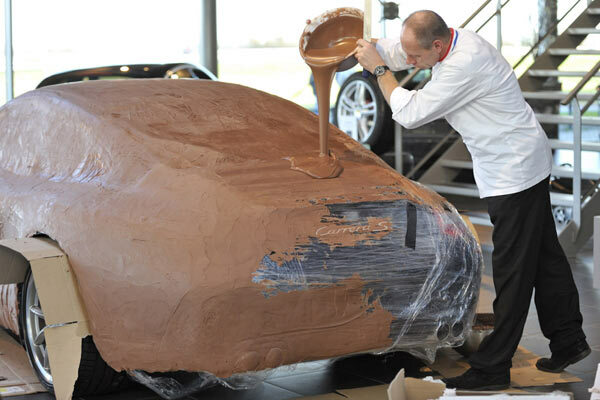 The worlds most expensive holiday treat, a Porsche 911 Carrera S is dunked in chocolate….Yum! 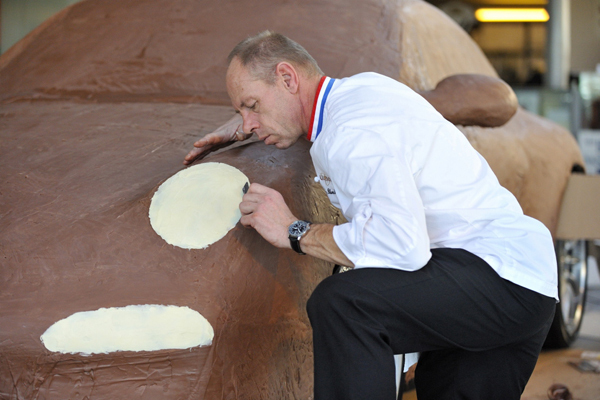 Well, it might be the most expensive treat for those chocoholic lovers and car enthusiasts!! If you are trying to find a sweet and thoughtful gift this holiday….well here is something unique! 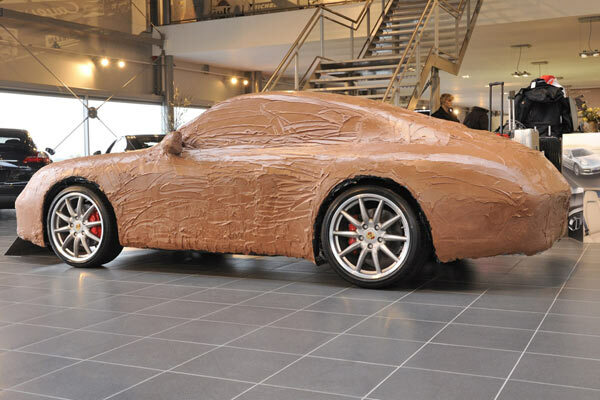 A Porsche dealership “Porsche Centrum Gelderland’s ” in the Netherlands has created a choc-top version of the 911 Carrera S supercar. If anything… it is a powerful suggestion literally to get you in the holiday mood for some very tasteful thinking. And what perfect timing for those Porsche dealerships wanting to sell all those new Porsche models that just arrived in their showrooms. I wonder if chocolate will be the treat when you visit!! I know I would be drooling! I don’t know about you but my mouth is watering right now just thinking about it. I was hoping too see something a little more sporty in design, more like deep dark chocolate with milk chocolate stripes like the Porsche Design Edition 1 Cayman S.
No matter what, the idea of chocolate makes you drool or salivate over the whole idea of a new Porsche. 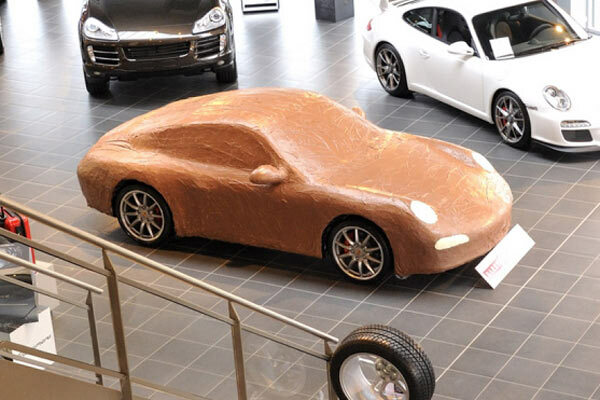 Continue reading the story at Autoblog…..
Im not sure if I find this very appetizing, rather just have the Porsche and the chocolate separate!